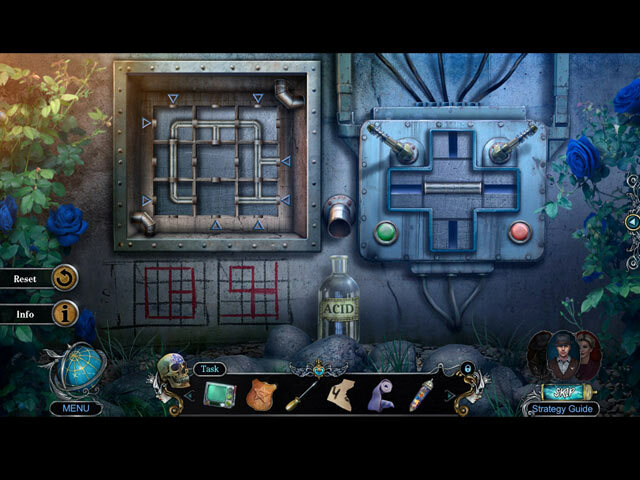 Rated 5 out of 5 by GDeb from It really is a Hidden Object Game! Squee! Since so many reviews supplied the full storyline, I will spare you another one and just say that this game surprised me. 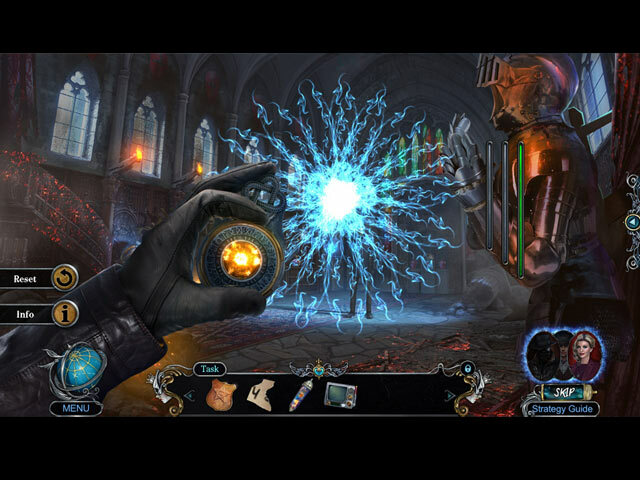 If you're a real Hidden Object game lover this game will delight you. It has an engaging storyline and wonderful puzzles filled with twists.There are numerous interesting HO scenes and lots of puzzles. I enjoyed the ability to switch detectives as needed, which bumped up the fun factor to the highest level. This is one of my new favorites. Elephant Games designed a winner. The art is beautiful and although it has some paranormal creepy themes (especially the bonus game) it is not one of those dark games that can cause nightmares. (Yes, I am a wuss).This is an amazing game. I based this review on the full game plus bonus game. Rated 5 out of 5 by NWQUILTER from Just a great game this was such a fun game to play. I have always been a fan of the mystery trackers and now this! What a great way to update a series Loved it and look forward to playing more in this series. 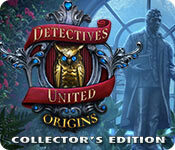 Rated 5 out of 5 by wild_irish_rose from Challenging Hidden Object! Fun factor was more than I could have imagined. I played this game twice for hours! Visual quality was great and the voices were synced with the words. Level of challenge was hard. Storyline was terrific. I hope we get another chapter soon because I can't wait. 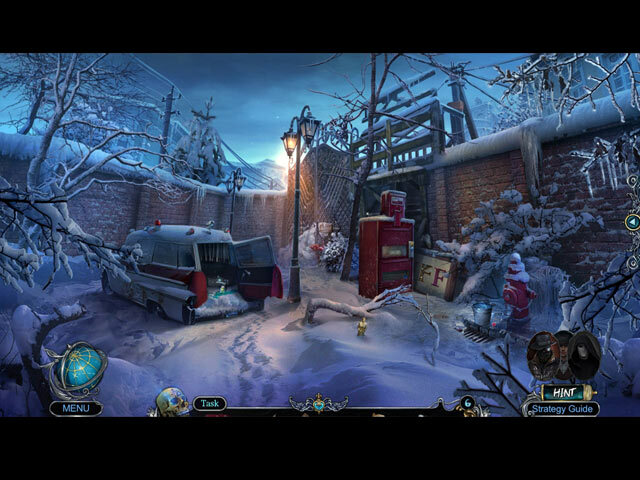 Rated 5 out of 5 by Tomsde from Great Game Combining 3 Great Series I loved this game as I've been a follower of Grim Tales, Haunted Hotel, and Mystery Trackers for years. I especially loved having Anna Gray and Richard having big roles in the story line. Elephant has outdone themselves this time. If you like any or all of these game series you can't loose. I hope this is a launch of a new series. I have absolutely nothing bad to say about it. A good creepy story, beautiful artwork, great voice overs and lip syncing, and a wonderful score. Who could as for anything more? I just wish it had been longer because I loved it so much I didn't want it to end. Rated 5 out of 5 by sergantu from Amazing! The Best Game by Elephant! This is the best game I've played. Stunning graphics, an intriguing story! I like it. Interesting gems. Non-standard tasks! That's cool! Rated 5 out of 5 by cptwentworth from Great new twist on an oldie I really enjoyed the combining of characters to create this new storyline and group of detectives. Nice to see some old game play areas in this one, with a fresh plot. The only qualm I have with these games are they are all built for beginners in HOG. What would be awesome is to have beginning, intermediate, and difficult game levels in the same game, and not just the options at the beginning deleting your sparkles and lengthening skips. Overall, I will definitely come back for the next Detectives United! It's nice to play a game my kids can sit with me and not worry about dark themes or inappropriate content. Rated 5 out of 5 by sloopiel from Really enjoyed this game The idea of the team coming together from the different games is really fun, as we have played all of them seperately. I Really hope this will be a continuing thing! Looking forward to it! Rated 5 out of 5 by Mickeymgrl39 from You Had Me At LEGENDARY DETECTIVES ; and for an added bonus you gave me THREE !!!!! I really enjoyed this game. One of the best that I've played. I LOVED that you get to jump between the BEST LOVED DETECTIVES OF THE FAMOUS SERIES and that each brought to the game their Individual strength. I stayed up and entire night and played without realizing that I was playing so long ; I was just enjoying the ADVENTURE!!! I just wanted to continue playing !! Sure hope this isn't the last one of its kind !! BRAVO ! !